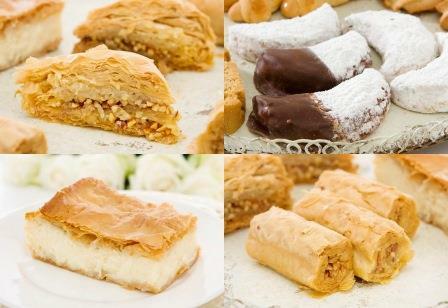 The Sweet Spot provides a range of traditional Greek desserts, including the ever delicious galoktoburiko (layered pastry with custard), yiannina baklava rolls, kourambiethes (Christmas shortbread with almonds), amigthalota (almond swirls), and much more. Enjoy these treats with a cup of coffee or tea in this brightly lit and welcoming café, or you can take them home in a box to share. You can also select from a range of other sweets, including cakes, tarts, macarons and ice-creams. You will not be leaving The Sweet Spot Patisserie without satisfying your sweet tooth.